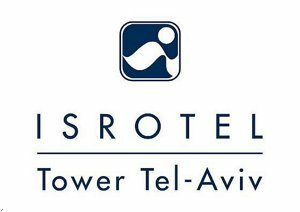 Isrotel Tower Tel Aviv is a city suite hotel offering 90 spacious suites, ideal for the business traveler, long stay, and families. Each suite includes a comfortable living room, an elegant bedroom, a dinning area,as well as equipped kitchenette, and breathtaking views from each guestroom and from the magnificent roof top swimming pool, open in season only. The hotel also offers a fitness room, free parking, wireless internet connection, meeting room and a business lounge. Situated in the heart of Tel Aviv, the hotel offers easy access to Tel Aviv corporate centers, the beach and the hottest entertainment spots of the city that never sleeps. . The Isrotel Tower is located in a centralized location. There is a large variety of restaurants near the hotel. Meeting room Length - 13 meters Width - 9 meters Height - 3 meters Maximum Theatre Style Capacity - 70 Maximum Classroom Style Capacity - 40 Maximum U Shaped Style Capacity - 32 Maximum Boardroom Style Capacity - 80 Maximum Cocktail Style Capacity - 100 Maximum Banquet Style Capacity - 50 Maximum Dinner - Dance Style Capacity - 100 Meeting rooms do not have windows for natural daylight The Hotel Conference Room is perfect for business meetings, offering a variety of Audio Visual Equipment for rent such as LCD Projector, Flipchart, Television VCR DVD CD Player Microphone, Wide Screen and Slide Projector. Wireless Internet is also available for additional cost. The meeting room can be set as classroom, conference, banquet or theater style.